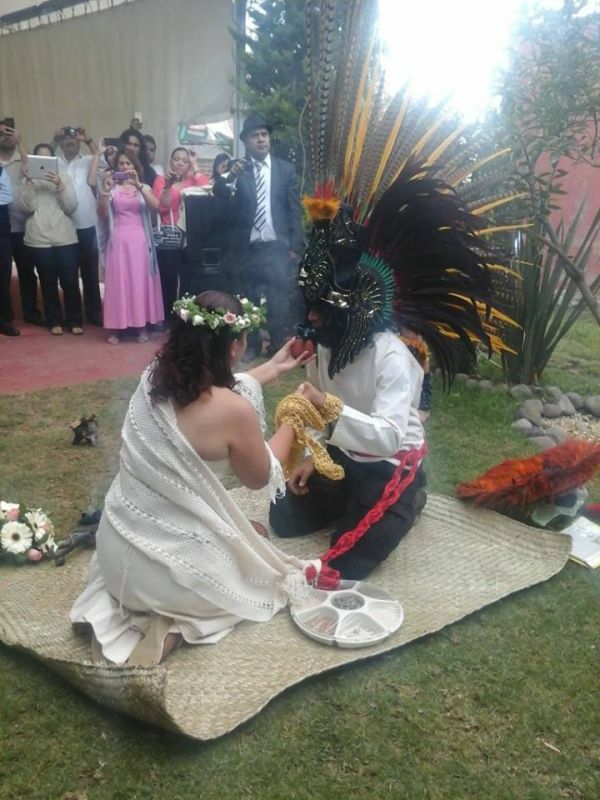 TE GUSTARIA CELEBRAR TU BODA, COMO LO HACIAN LOS AZTECAS, NUESTRO CALPULLI, ESTA PREPARADO, PARA LLEVAR ACABO EL RITO DE AMARRE DE TILMAS, COMO LO CELEBRABAN LOS ANTIGUOS POBLADORES, DEL VALLE DEL ANAHUAC, EN LO QUE HOY ES LA CIUDAD DE MEXICO. NADA MEJOR COMO LA CEREMONIA DE AMARRE DE TILMAS, SI QUIERES EFECTUAR, TU MATRIMONIO EN FORMA SIMBOLICA, Y RECORDANDO NUESTRAS TRADICIONES ANCESTRALES, COMO LO CONSUMARON NUESTROS ABUELOS. ADEMAS QUE POR TU CONDUCTO, DARIAS A CONOCER A LAS NUEVAS GENERACIONES, LO HERMOSO DE NUESTRA CULTURA.